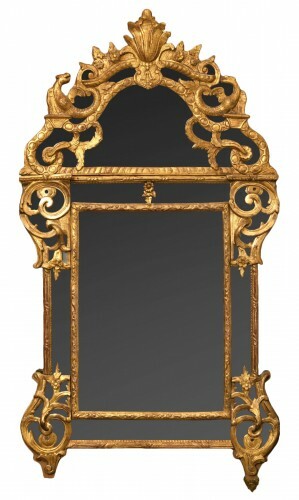 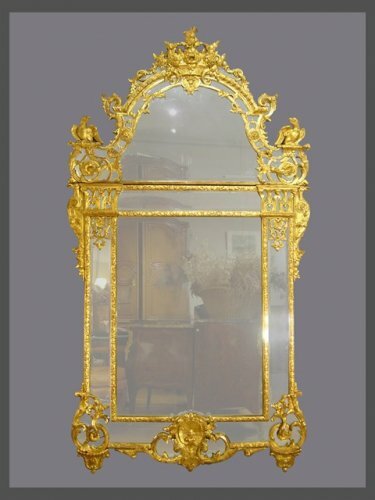 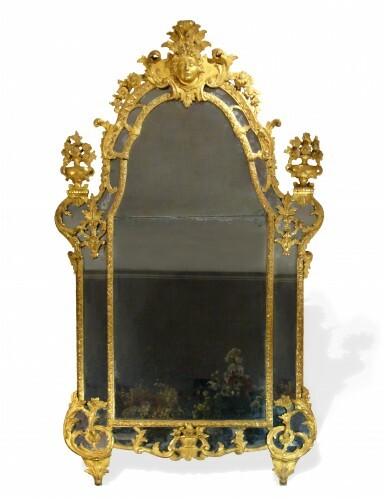 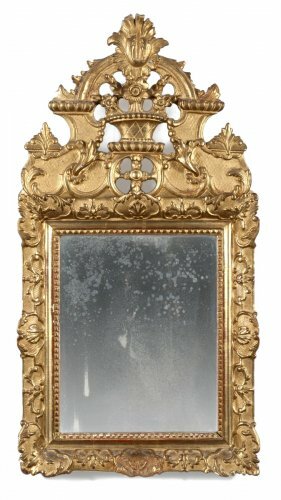 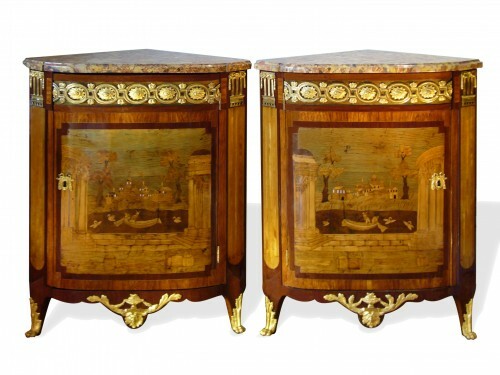 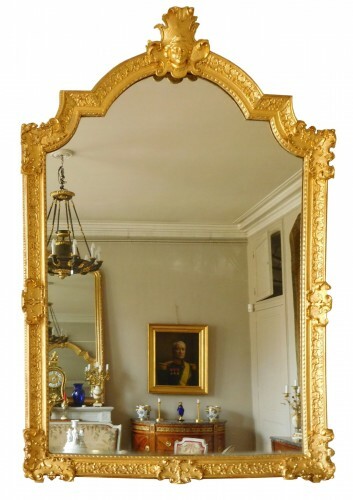 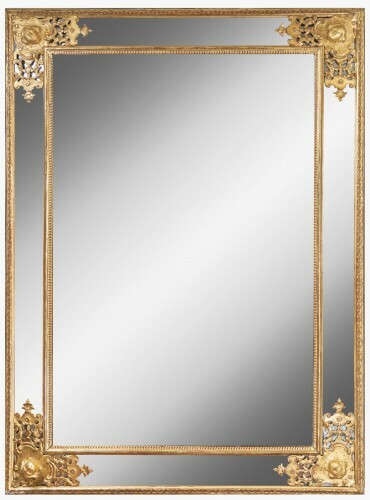 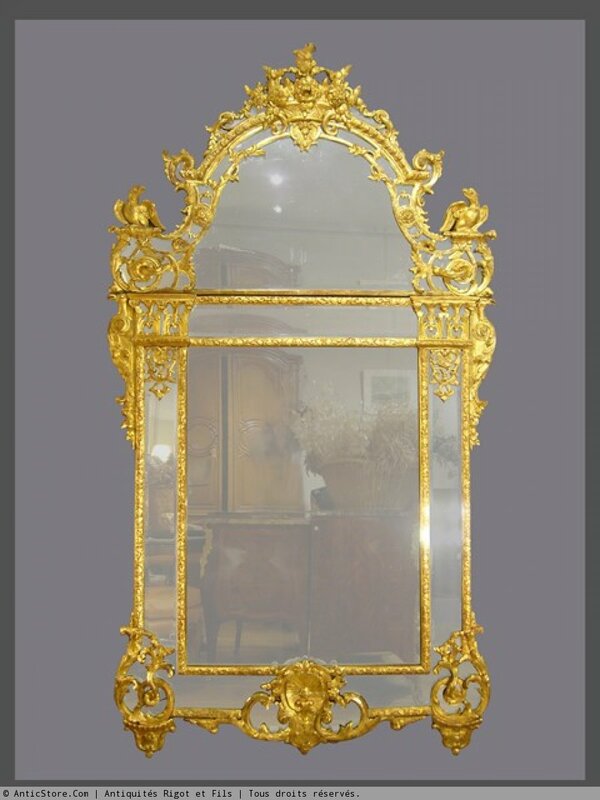 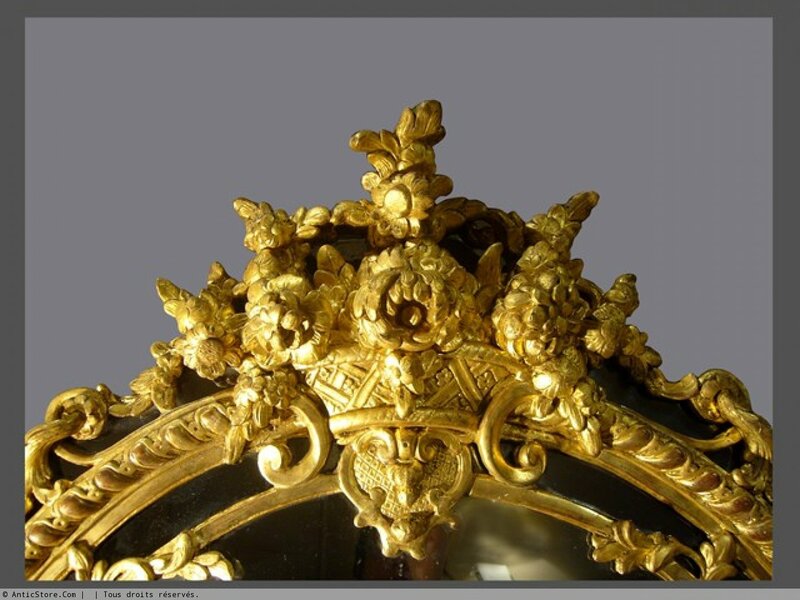 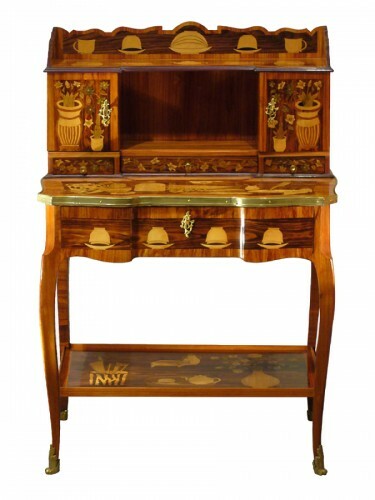 Exceptional mirror glazing beads beveled intricately carved and gilded wood. 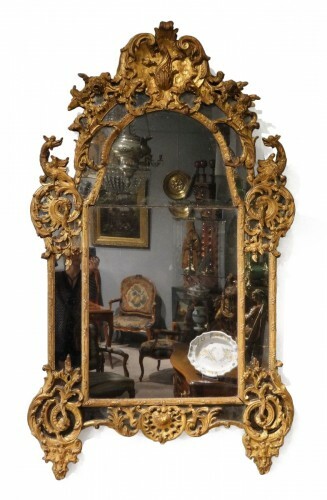 Reserves Ice double frames with molding the Bérain are topped with a marquee. The beautiful fronton in delicate carvings, is surmounted by a large basket of flowers. 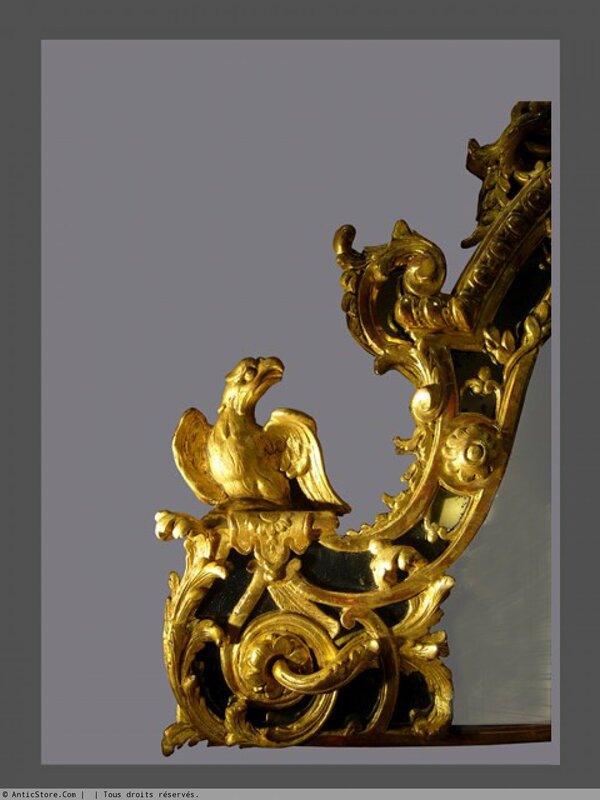 It is decorated with two eagles shoulders posing on a winding rock and foliage to umbilicus. 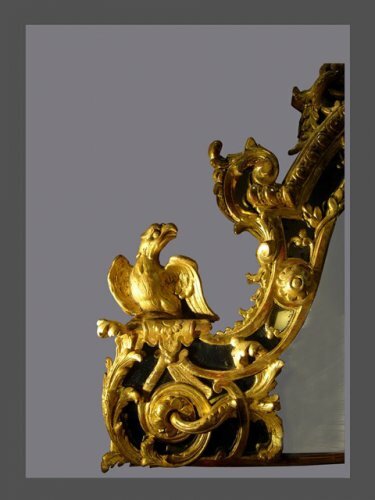 The center of the lower cross, a stylized shell is framed with leaves and curls.